Membership is open to any interested person or institution. Dues are paid biennially and are £20 or US $35 for two years. For queries about membership or payment methods, please contact Andrew Gray, PLC Treasurer (contact information below). 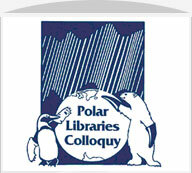 To join the Polar Libraries Colloquy, please complete the form below and send payment to Andrew Gray.